A candid conversation about race, faith and legacy. Dr. James A. 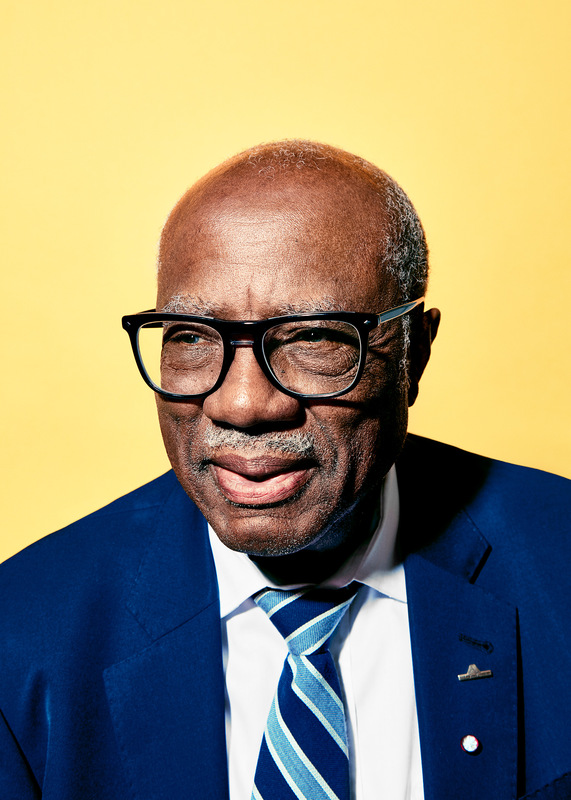 Banks, the first Black professor hired by the College of Education, will retire in January after teaching at the UW for half a century. 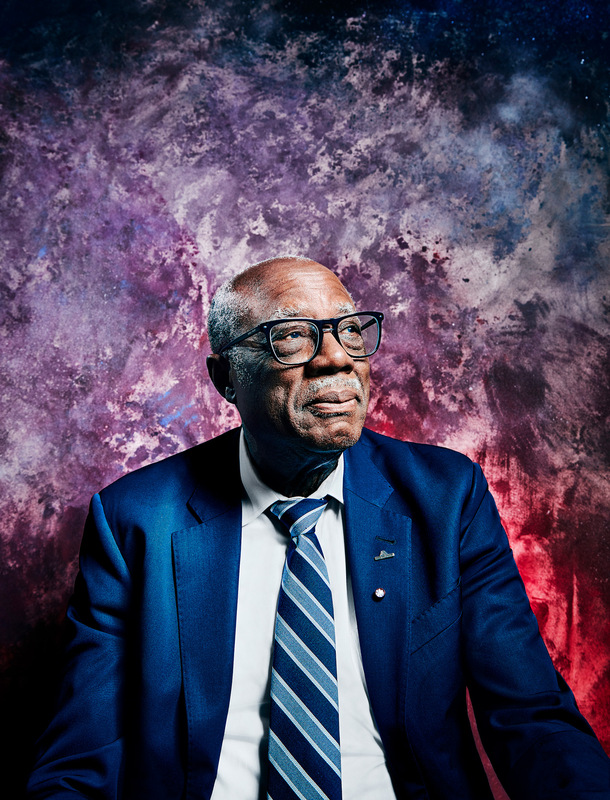 Known worldwide for his pioneering scholarship in the field of multicultural education, he paved the way for generations of faculty and shaped the minds of countless K-12 teachers. After finishing graduate school at Michigan State University, Banks came to the UW in 1969, one year after members of the Black Student Union occupied President Odegaard’s office and demanded change. The administration responded to the student activism, in part, by beginning to hire Black faculty across disciplines, from social work and history to business and art. In those early days, this small group of faculty “firsts” gathered together for support. “We needed reinforcement. We needed community,” Banks says. Over time, as the University added more faculty of color, they created communities within their own departments and schools. As Professor Banks joins his wife in retirement, we asked him a series of questions submitted by fellow faculty and campus leaders. 1. When you’ve been faced with challenges—personal, professional or frustration with the U.S. climate like today—what sustained you? Where have you found the energy, inspiration and power to keep pushing back? What really kept me going was a belief in the possibilities. Also, I had faith. Part of that faith was spiritual. Part of that faith came from growing up Black in the segregated South, where you had to believe that you could make change in order to survive. I think about Mary McLeod Bethune. Her famous quote is, “Faith is the first factor in a life devoted to service.” She said, “Without faith, nothing is possible. With faith, nothing is impossible.” That faith was instilled in me by my teachers, preachers and parents. The climate we have in the United States today, I never thought I’d experience. After working for 48-plus years trying to bring about equality, we get white nationalism, anti-Semitism—who would’ve thought? Arthur M. Schlesinger Jr. and I don’t agree on a lot, but in his book “Cycles of American History,” he talks about how there are conservative and liberal swings. If we hold on long enough, there will be another cycle. I have to believe that this kind of white nationalism and xenophobia, this new spread of racism, will always be a cycle. If we persevere, we can overcome it. Editor’s follow-up: I grapple with two competing ideas about what’s going on in politics today. The first is from Obama the day after the 2016 election, where he says that history isn’t a straight line, it zigs and zags. And in response to that, Ta-Nehisi Coates basically said, “I don’t believe that. I believe this is chaos.” I swing between those two positions. I believe it is cyclic, and I believe Coates would agree with me that Trump was a response to Obama. There was a liberal swing with Obama, and many people who were uncomfortable were waiting for a different time, and the current president gave them the possibility to react. We will see more liberal times. Liberal communities will react to the current administration, as I think we saw in the midterm elections. In general, do you adhere to the Martin Luther King idea of the arc bending toward justice? Only if we work to make it happen. I just got back from Memphis, where I visited the National Civil Rights Museum. I said in my speech, “Only if we take decisive action to move us toward justice will we go toward justice.” It doesn’t automatically bend. It takes consciousness, work, action. I grew up in the apartheid South. I don’t think we could’ve just sat back and waited for the arc to bend. We had to put our lives on the line, to march, to push. So, in a sense, the arc will bend the way people bend it? But I wonder if the greater belief is that people are good. That humans have decency, and that over time, decency will win out. If we look at Germany, at the Holocaust, at what happened to the Jewish worshippers in Pittsburgh, I think it’s complicated to think about the goodness of people. There are too many people who will manipulate, too many con artists who can get in high positions. People are created; cultures are created. I don’t believe there’s a natural goodness in people necessarily. I think they have to be socialized to be good. Hitler, Martin Luther King, John Brown—they were all products of socialization. That’s just my belief. 2. Given all of your years at the University of Washington, describe the first time you knew your work in multicultural education was creating change at our institution and in schools. I don’t think there’s a specific moment when you know that. Over time, you see indications that your work has had influence. It’s primarily when my students come back to me after they’ve taught in schools and tell me how my work has influenced their teaching, and has influenced their students. I just came back from the annual meeting of the National Association for Multicultural Education, where Cherry and I received their lifetime achievement award. As I walked across the convention, people stopped me to take pictures. They said, “My dissertation was about your approaches to multicultural education.” I heard these stories over and over. Their testimonials were very powerful and meaningful. Editor’s follow-up: Before this interview, I told you that my brother and his colleague, who are elementary school teachers, are installing a diversity bookshelf in their school’s library. They both had Cherry as a professor, and the project received a grant from her. It’s a relatively small thing, but it will be seen by thousands of kids over time. Multiply that by how many students you’ve taught. I can’t imagine. That’s perfect, because now we have a question from Tyrone. 3. How do you want your legacy as a scholar to be told? I’ve been invited to donate my papers to the UW. The library has already taken 30 boxes, and there will probably be another 20. We have to organize all of these papers so they will be convenient for future researchers. I think the work we did over the last 50 years is important for future scholars to draw upon, just as I drew upon the work of scholars like historian John Hope Franklin and psychologist Kenneth B. Clark. These were my mentors even though I had never met them at the time. I later met them both, and told them how important their work was to me. I only had one Black professor at Michigan State, Robert Green, and we’re still friends. But in terms of legacy, “The Handbook of Research in Multicultural Education,” which Cherry and I edited in 1995, was trying to bring legitimacy to the field. I also edited “The Encyclopedia of Diversity in Education,” a four-volume reference work that has 600 articles and took three years. It’s very funny. (University of Pennsylvania Professor Emerita) Diana Slaughter-Defoe (now Diana S. Kotzin) said to me once, “Jim, you created multicultural education. You’re the father!” I laughed. I said, “Diane, there was Carl Grant, Sonia Nieto—a whole group of us.” She said, “No, you were the first. You’re the father.” And then somehow it started appearing. Let’s hop over to another student you mentored, Gloria Ladson-Billings, ’72, who just retired from the University of Wisconsin. 4. What opportunities do you believe UW afforded you that you might not have been able to take advantage of at another institution? I’ve simply had a love affair with UW. It gave me the freedom to pursue my interest in Blacks and other people of color. A lot of universities did not do that, and even here, you saw signs of that resistance. When I was up for promotion, one professor wrote in an anonymous comment: “A very bright young man. I wish he would study something important.” I’ll never forget that. I say that because it was not easy, in 1969, to study Black folks, gay folks, disability folks, or gender. Young people today don’t realize that we had to really struggle to get our work seen as legitimate. The College of Education allowed me to be myself. It allowed me to blossom. I was a Black Southern kid. I had a good journey at Michigan State. I needed a community that was embracing, reinforcing—and I found that at this University. That’s why Cherry and I endowed a professorship here. Editor’s follow-up: What do you think of the idea that as a researcher of color, you can be pigeonholed to researching topics that only have to do with your race? Many scholars do struggle with this issue, but it was less of a challenge for me, because legitimizing the study of race was a major part of my own identity. So if people saw me as a race person, that didn’t bother me, because in some ways I saw myself as racialized. Surely, I saw myself as a first-rate social scientist and educator—I got admitted to the National Academy of Education, which is the ultimate standard—but I didn’t think specializing in race was inconsistent with being a first-rate scholar and researcher. Conversely, what about white folks who study issues relating to race? Do faculty of color bring a perspective to the research that white faculty don’t? Or because it’s research, is there a separation between lived experience and the work? I think lived experienced inevitably affects how we see reality. So I think Black researchers bring special insights. But I also think white folks bring unique perspectives, and that we need both. Committed white allies might see some things we miss. Because who knows white folks better than white folks? We need multiple eyes to see the composite reality. 5. As one of the first African American tenure-line professors in the College and University, did this journey come with any special pressures or responsibilities? Growing up in the South, we were always taught that “The race is on your shoulders.” I told my daughters that and they laughed. They said, “Dad, that’s a heavy burden.” But we were always taught that. My mother taught us that you can’t go into town on Saturdays unless you dress up and wear good clothing because you will be generalized to the rest of us. The race is on your shoulders. So my kids laughed, and they said it was a heavy burden. But you know what I said? I said, “It’s on yours, too.” And I think they held it up pretty well. They both got degrees from Spelman College and from Harvard, and both became professors. Editor’s follow-up: Do you envision a future where the race is not on your grandchildren’s shoulders? I think it will last as long as we have racial inequality. That certainly won’t happen in my grandchild’s lifetime. Despite the fact that I’ve written all these books and that I have tenure here, I was driving a sports car to a service station and the guy asked me, “Whose car are you driving?” So it never ends. When I walk out of here and put on jeans and a sweater, I’m a Black guy driving a car that some folks think I shouldn’t be driving. It’s situational, it’s complex. I can be a famous professor here, but when I go down to the service station, I’m a Black man being judged as a Black man, therefore I have to be more careful. What is your reaction when people treat you like that nowadays? Do you react differently now than you did when you were younger? Well, I react very conscious of the fact that I’m a Black man, and that any reaction that I convey will be treated as a Black man. There are times when I do feel my role is to help educate. For example, I’m often standing in line in the grocery store, and the person will point to the white person and say, “Next.” And I will say, “I was here first.” That still happens. Somehow, you’re not seen. Not too long ago, I was at the butcher in a grocery store and he called on the woman behind me. And she said, “Sir, he was next.” I thought it was beautiful that she said that. 6. Can you talk about your experience moving from segregated K-12 schools in the South to an integrated school in Chicago during your freshman year in college? Remember, I grew up in the apartheid South where people always said, “The white school is better than your school.” And yet, in Chicago, I was put in a class at the City College of Chicago that was predominantly white. Overnight. There were psychological adjustments, and there was the motivation to work very hard. You couldn’t help but feel that I hadn’t gotten the education that these kids had gotten, and that I had to compensate by working harder. So I worked like a dog. I got straight A’s in my first semester in college. What I learned from going from a segregated school to an integrated school was that I had the ability to make it—that I could succeed. I had wanted to go to a Black university, but in retrospect it was very good that I didn’t. Because I needed the affirmation that I could make it at any institution. I graduated at the top of my class. Editor’s follow-up: I’m sure you had students who were coming to the UW from similar situations. What did you do to set them up for success? One of the things I tried to do was give them what Amy Gutmann called “recognition in the curriculum.” I tried to create a curriculum that speaks to peoples’ experiences. At City College in Chicago, I read one essay by an African American in my whole undergrad experience. That was a piece by James Baldwin called “Stranger in the Village,” about his experiences as the first Black to visit a Swiss town. So I tried to give my students an atmosphere of recognition and acceptance. I started out with just race, and then I added class, and gender, and disability, and then LGTBQ issues in my latest work. People who were interested in women’s studies, for instance, took my classes because there were no women’s studies classes in our College at the time. Two of my early students were feminists, because there was no other place to go. In later years, people who were gay took my classes, and some came out in class. I’m wondering how you respond to life’s ups and downs and missed opportunities. What are some of your guiding principles for handling success and failure? You have to think of the bigger picture. Clearly, there have been disappointments. Nobody’s life is everything they wanted. I think you have to keep your eyes on the prize. Where can you do your work? Where can you have community? I have a young mentee now who is so anxious to leave his university. Too anxious, I think. He has his eyes on someplace else. I tell him the big question is, Are you being supported? Can you be yourself? Can you actualize your work? Despite any disappointments you face, you have to keep on going. For example, I’ve never been invited to join the faculty at Harvard, or Oxford, and I’ve never given it much thought. Because I’m doing my work at Washington, and I’m doing the work I want to do, and I’m satisfied with my life the way it is. James A. Banks is the Kerry and Linda Killinger Endowed Chair in Diversity Studies. Quinn Russell Brown is the digital editor of Columns Magazine. The purple background in the second picture was painted by Rihana Jones.